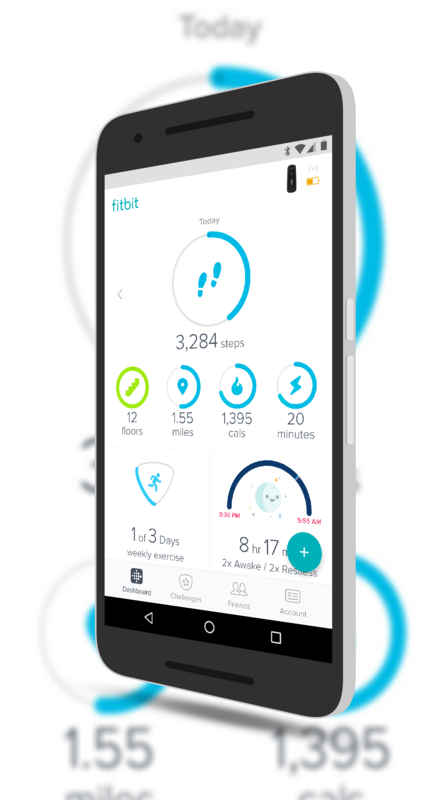 Fitbit has begun rolling out an update to their app for Android and while it provides a few nice updates, the big news is the preview of the new dashboard in the app. The preview is not enabled by default but there is a banner that will walk you through what’s new in the dashboard and will enable it for you. It is awesome. The new dashboard is a far cleaner design with a white background and dials to indicate your activities, steps and other wellness information. If you are use to the dashboard on the Fitbit website, this is going to look very familiar to you and has the same ability to move things around on the dashboard, just like the website. constantly to do things. Secondly, the Account page has been redesigned with much more information and more things that you can edit within the app without having to go to the site. This makes a much faster and better experience, especially if you are on-the-go. As always, Fibit has included some bug fixes and performance improvements in the app. What specifically was addressed isn’t called out in the Release Notes. The update is in the Play Store now and if you have the app installed, you should see the update come via an OTA update over the course of the next few days. Once you get it, be sure to check out the new dashboard!